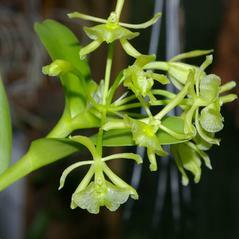 Epidendrum floridense, commonly known as the Florida Star Orchid, grows in south Florida and extends into Cuba. 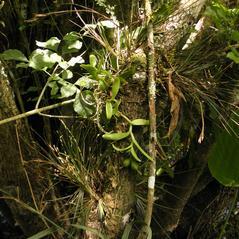 The narrow leaves are leathery and succulent and alternate along the length of the unbranched stem. 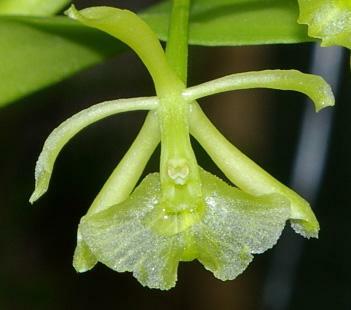 The inflorescence is a raceme of up to 20 yellow-green flowers with sepals and petals that are spread widely and very broad, pale green lip. The cluster of round, hanging fruits resemble miniature pumpkins. 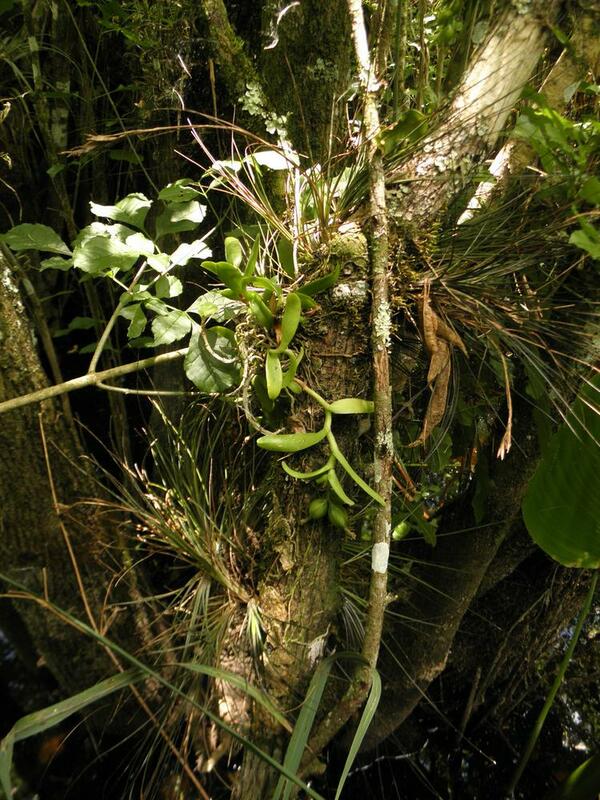 This orchid typically grows on trees such as pop ash and pond apple, in sloughs, tropical hammocks and swamps around the Everglades and Lake Okeechobee. Epidendrum floridense is considered endangered in Florida although its global conservation status has not been reported. 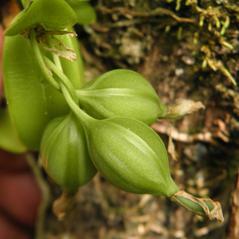 This orchid may be susceptible to increasing intensities of winter freezes. 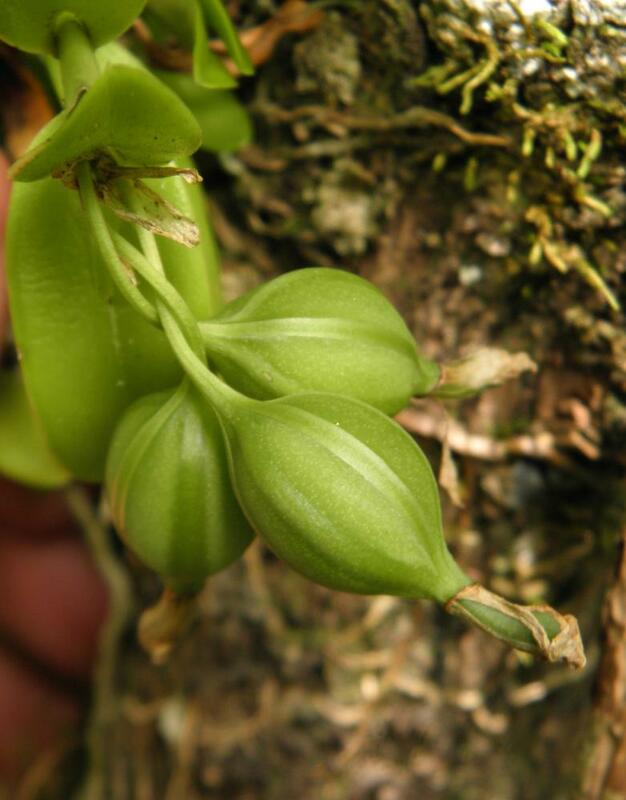 This orchid is pollinated by nocturnal moths including Anticarsia gemmatalis, Lymire edwardsii and Phyprosopus callitrichoides. 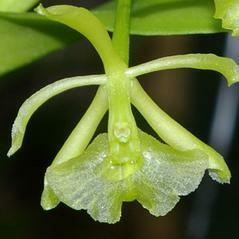 The majority of visitors are males, possibly attracted by pheromone mimicking scents, although the flowers produce copious nectar within the nectar tube.